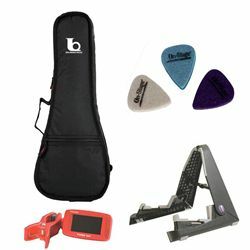 Includes a folding ukulele stand, gig bag, capo and mini clip-on tuner. This bundle has everything you need to get started with the ukulele! Pick one up today.